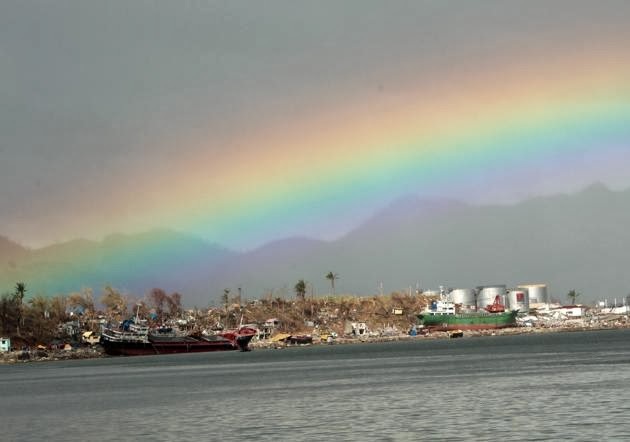 A rainbow is seen over the typhoon devastated city of Tacloban, Leyte island province, Philippines, 19 November 2013. There is hope indeed. All of the affected areas are in my prayers Rocks.